Many baristas use their drink-making talents to decorate the top of your latte with steamed milk art. Korean barista Kangbin Lee takes this trend to the next level - beyond the typical hearts and flowers - to create highly detailed drawings he calls cremart. This unique form of latte art uses the foamy part of the drink as an unconventional canvas for portraits of Disney characters, flowers, and animals. His most impressive creation, however, is hands-down Van Gogh’s Starry Night. 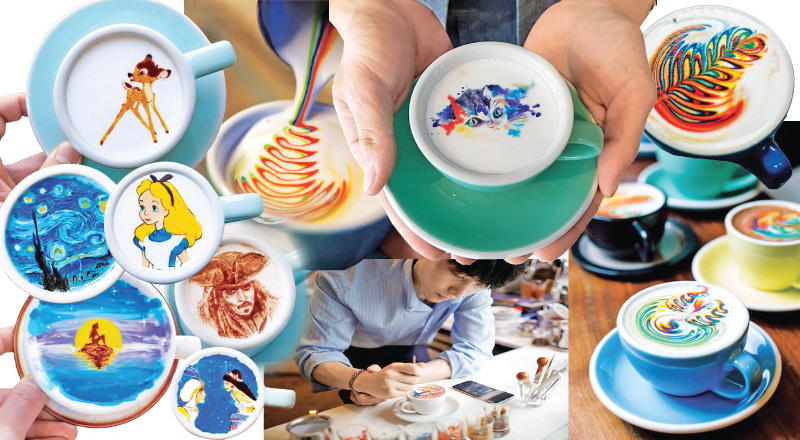 In recreating the masterpiece, Lee flawlessly represents the vibrant, swirling colors that have made the painting a classic – all without his coffee art becoming muddled. So, how does Lee do it? Looking at his lattes, it’s hard not to think that it might be the work of Photoshop. But as Lee demonstrates to Coffee TV, his cremart is the real deal.